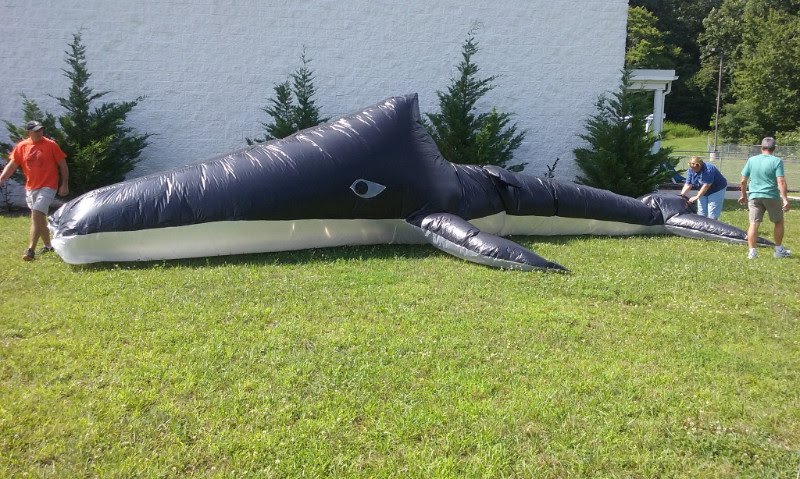 VBS Starts Tonight and Hydro the Whale Has Already Been Spotted at GBC!!! 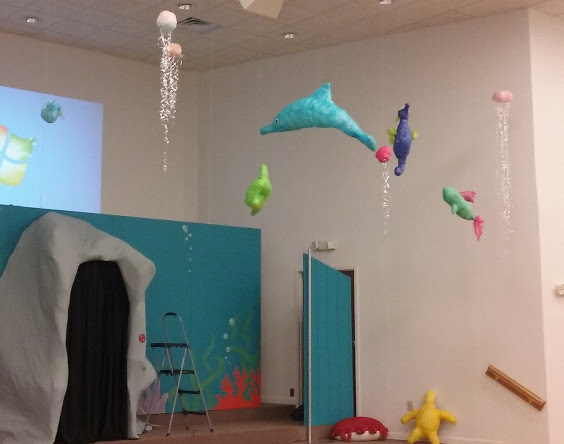 This evening at 5:30pm registration begins for our Vacation Bible School, Ocean Commotion! Children will journey through the events of the Great Flood, learning how the Ark’s saving of Noah’s family and the animals was a picture of how Jesus would one day save the world. And all along the way kids will also be playing games, doing crafts, Ty-Dying T-shirts, visiting Ocean Land in our drama, and meeting Hydro the Whale. So, please come and join us this evening at 5:30pm for another fun and exciting Vacation Bible School presented by Grace Baptist Church and for the Glory of Jesus Christ our Lord! Please, join us as we host a “Festival of Grace” Block Party with inflatables, games, crafts, face painting, sno-cones, and hotdogs at the Cedar Square Apartments on Saturday, June 18th from 2-5pm. We will meet at noon at GBC to pack up and have pizza before the event. There is a sign-up sheet in the hallway outside the Sanctuary. Please contact Roger Bell (229-7923) if you have any questions.